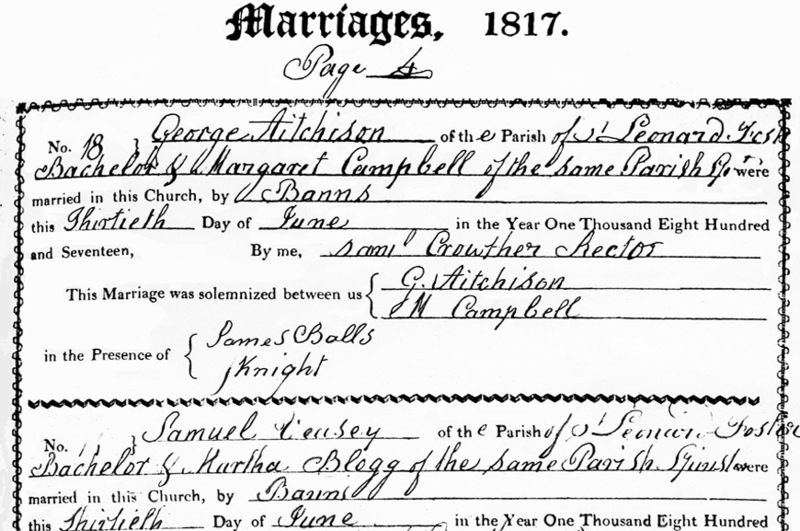 This historic document dated June thirtieth 1817 is a copy of the original church record of the marriage between George Aitchison and Margaret Campbell. They married at Christ Church Greyfriars Newgate Street next to St Pauls Cathedral. This copy was obtained from The Guildhall Library who hold all historic church records within the City of London. The photo right shows the present day ruins of part of the church unfortunately the the church was bombed in WW2. The picture on the left is an old picture showing the front of the church all the buildings left and right have now gone. It is at the junction of Newgate and King Edward streets. The centre part of the church is now a lovely garden. Formed in 1547, in the place of the parishes of St Ewin and St Nicholas Shambles which were dissolved by Henry VIII. 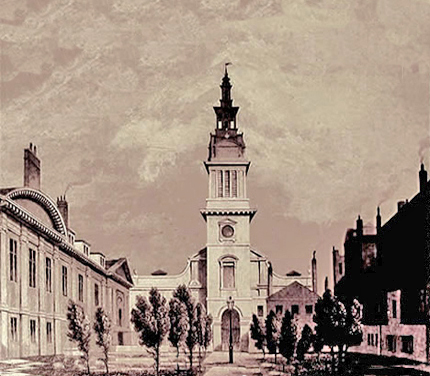 The church of the former monastery of the Friars Minor, or Grey Friars, became the parish church of the new parish. Burials 1275-c.1540 are recorded in British Library manuscripts. 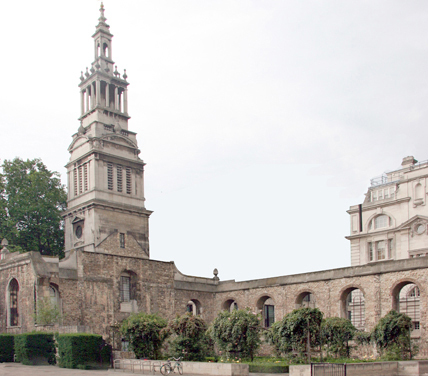 It was destroyed 1666 in the Great Fire, rebuilt by Wren in 1677-91, The Church was gutted in 1940 by German bombs. The Tower was restored in 1960.